The challenge at the Stampotique challenge blog is to use music as inspiration. 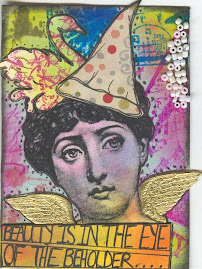 Which fits perfectly with a couple of ATCs I made for a Stampotique swap. The theme was black and white, and the Michael Jackson song of the same name kept popping into my mind. So fabulous. Great use of black and white to reinforce the song title. 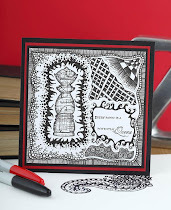 Thank you for playing along with my challenge this week at Stampotique Designers Challenges! What a magnificent pair of ATCs, Lisa, and what a wonderful message! I hope this pair was not separated in the swap! Off to listen to the song on Youtube! 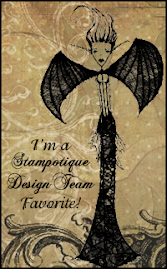 Thanks so much for participating in the Stampotique Designers' Challenge!